Tirestickers Australia (“Tirestickers”, “Company”, “We”, “Us” or “Our”), is the owner and operator of the website located at www.tirestickers.com.au (“Website”, “Site” or “Online Store”). The Online Store offers custom made tire letter kits and logos to customers around the world. The following Terms and Conditions are a legally binding agreement between you (the “Customer”, “User”, “You”, or “Your”) and the Company. By proceeding to use the Website, you represent and warrant to the Company that you have read and fully understood all the provisions of this Agreement. We do not offer any product warranties other than those manufacturer’s warranties as described on product packaging. “Product” – refers to all products listed on the website. “Customers” – refers to Users who place an order (by making full payment) to purchase a product through the Website. You must be at least eighteen years of age to order a product through the Website. Please do not order a product through the website if you do not meet the age eligibility criteria as we cannot enter into a legally binding agreement with any person under the age of eighteen. IN THE INTEREST OF PROTECTING CHILDREN’S PRIVACY, USERS UNDER THE AGE OF THIRTEEN YEARS ARE STRICTLY PROHIBITED FROM ACCESSING THIS WEBSITE. WE DO NOT KNOWINGLY COLLECT ANY PERSONAL INFORMATION FROM PERSONS UNDER THE AGE OF THIRTEEN. The Company may amend any provision of this Agreement at any time or discontinue the Website or any specific Product offering without giving any prior notice to you. The notice of amendments is served by updating the last modified date on the top of these Terms and Conditions. You are advised to review these Terms and Conditions everytime you visit the Website or order a product. The Terms in effect at the time of your order will govern the sale agreement between you and the Company. 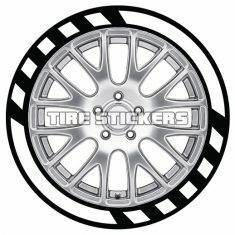 The Company offers TIRE STICKERS® Products that can be used by customers for personal, commercial and high-performance automobiles, motorcycles, bicycles, and other off-road vehicles. Customers can design their own custom tire letter kits and logos on the Website and easily place their order through the Online Store. THE COMPANY MAKES NO REPRESENTATION OR WARRANTIES AS TO ANY SPECIFIC RESULTS THAT MAY BE ACHIEVED THROUGH THE USE OF THE PRODUCTS AND WE WILL NOT BE HELD RESPONSIBLE FOR ANY CONSEQUENCES RELATING DIRECTLY OR INDIRECTLY FOR ANY OMISSION/ACTION YOU TAKE BASED ON THE CONTENT OR INFORMATION AVAILABLE ON THE WEBSITE. ALTHOUGH WE MAKE OUR BEST EFFORT TO ENSURE THAT ALL INFORMATION VISIBLE ON OUR WEBSITE IS ACCURATE, WE ARE UNABLE TO OFFER ANY GUARANTEES TO OUR WEBSITE USERS. ALL PRODUCT IMAGES ON THE WEBSITE ARE FOR ILLUSTRATIVE PURPOSES ONLY. WHEREVER POSSIBLE WE WILL DISPLAY THE ACTUAL SIZE OF THE PRODUCT AND IF YOU HAVE ANY PRODUCT RELATED QUERIES PLEASE CONTACT US AT [email protected] BEFORE PLACING YOUR ORDER. You can purchase a product on the Website without registering an account by simply Checking out as a Guest, however, if you wish to access additional functionality on the Website, you will be required to register a user account. You are under a legal obligation to only provide us with accurate and current information when requested. Please note that all User accounts are offered solely at our discretion. We may refuse to provide a User account at any time without providing any reason for our decision. You are solely responsible for maintaining the confidentiality of your account login details. You understand and agree that all activity under your account is solely your responsibility, regardless of whether you authorized it or not. You are obligated to immediately notify us of any unauthorized use of your account. You hereby release the Company from any claim, loss or damage suffered by you as a result of any unauthorized access to your account. Our Online Store offers Customers a convenient way to design and purchase Products from anywhere at any time. Customers can select the product they wish to purchase, provide the requested information and place their order at www.tirestickers.com.au. Customers can pay via secure Paypal Payment gateway or through any major credit card. By selecting a payment processor for your purchase, you are agreeing to abide by that Payment Processor’s terms and privacy practices. To learn more about the Paypal’s legal policies and practices please click here. The Company currently uses USPS and UPS for shipping products to all locations listed on our website. Unless expressly stated otherwise, you are solely responsible for all shipping fees displayed for your order. An order is only deemed accepted after the order confirmation email is sent by the Company. We will not process any orders before sending a confirmation email. Please note, by submitting your order through our website you are agreeing to pay for any/all items you ordered (including any taxes and shipping fees as visible at the time you placed your order) at the time we send you the confirmation email. 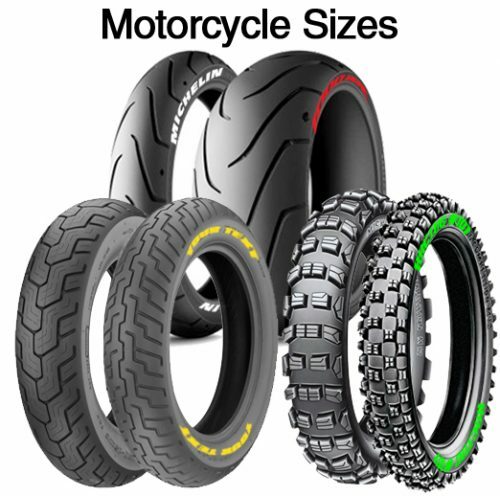 All products listed on www.tirestickers.com.au are shipped directly from the United States of America to the shipping address provided by the Customer at the time of order. Unless expressly stated otherwise, all shipping costs and taxes are borne by the Customers. Customers are able to view the full shipping costs before making the payment. Due to the customizable nature of the Product, we do not keep any stock locally. In the event we are unable to fulfill your order, we will immediately notify you of termination of your request via email. USPS – Standard International Parcel Post within 7 – 10 business days. UPS – Express Courier International within 3 – 5 business days. You understand and accept that the abovementioned timeframes are estimates only and we do not offer any guarantees as to the time and date of your delivery. We use third-party shipping service providers and we do not accept liabilities for any delay in delivery. The Company may in its sole discretion and without giving any prior notice to you change any product prices, at any time. Please be assured that our change of product prices will not impact any orders that you have already placed and you will be charged the product price listed on the Website at the time you placed your order. Although we take all reasonable care to ensure the product price as listed on the website is correct, we cannot offer any guarantees. In case of errors in pricing on your order, we will contact you and offer you an opportunity to place your order at the correct price. Importing products from other countries can attract import duties and taxes in the destination country. Our product prices as listed on the website do not include such import duties and taxes. Any international duties and taxes are borne by the Customer only. In the event we delivered incorrect product to you or the product you received contained a manufacturing defect or was damaged when you received it, we will gladly replace it for you or offer you a full refund or store credit after we receive the incorrect or damaged product back from you. To request a replacement for incorrect and damaged items please contact us via email within 14 days from the date of receipt of the product. All replacement requests must be sent to [email protected] along with the following information: your full name, delivery address, email address, and order number. You will be required to return the incorrect or damaged product you wish to replace or return to our returns address within the abovementioned timeline after you receive confirmation from us. Please note that we reserve the right to refuse replacement or accept any returns if the above requirements are not satisfied. In case of incorrect deliveries, we will cover two-way shipping fees to enable you to return the product back to us for no additional cost to you. We will not offer full refunds or replacements if the item is damaged as a result of you not following the product care instructions. We offer a 30 day exchange period for any brand name designs listed on our online store in our standard sizes in white (0.75”, 1”, 1.25”, 1.5”). If the event the product sent via UPS is lost in transit or the product you received contains any manufacturing defect, we will refund, replace or issue a store credit for such faulty or lost product to you. Please note that in the case of lost packages sent via UPS, we will only issue the refund, replacement or store credit after receipt of the UPS “lost package” acknowledgment claim. Please note that Standard orders via USPS do not qualify for lost package refunds. We do not offer any refunds for Custom designs however we may issue a store credit to Customers under certain circumstances in our sole discretion. Please note that Customer will bear any additional shipping costs incurred in redelivery of Custom Designs. Where you qualify for a full or partial refund, we will process the refund within 30 days of the receipt of the returned product. All refunds are processed using the same payment method that you used to purchase the product and made to the person who made the original payment. As we rely upon our Payment Processor to process refunds, we cannot offer you any guarantees as to the exact date and time for refunds reaching your account. Unless expressly stated otherwise, we do not offer any warranties or guarantees for any products of any nature. Please note, where applicable product warranty does not cover any shipping costs for replacements and such costs will be borne by the customer who wishes to claim the warranty. In certain circumstances, we may require you to send us clear pictures of damage to enable us to assist you with your claim and under certain circumstances, if reasonable, we may request you to send the product back to us. Excluding any User Generated Content, all products sold on www.tirestickers.com.au and all content made available by the Company including without limitation, the text, graphics, logos, trademarks, audio, video, interactive features, software and the like (“Company Content”) are owned by and/or licensed to the Company and subject to trademark, copyright and other intellectual property rights under the local and international laws and conventions. You agree not to remove any copyright, trademarks and any proprietary notices from any Company Content. We reserve the right to prosecute any violations of this provision to the fullest extent permitted by law. You acknowledge that breach of this provision can incur criminal as well as civil liability. User-Generated Content refers to any and all content uploaded, posted or shared by a User on the Website. User Generated Content includes but is not limited to any questions, comments or product reviews posted by Users. By posting, submitting or contributing such content through the Website, you represent and warrant to us that you have the requisite intellectual property rights and authority to post the content on the Website and that such submission is not contravening anyone’s existing legal rights and/or your obligations towards any third-party. You further grant the Company and its authorized personnel the right to identify you as the author of such User Generated Content where appropriate and/or if required by law. We do not claim ownership of any User Generated Content, however by posting, sharing or contributing User Generated Content through the Website and our social media pages, you expressly grant us irrevocable, royalty-free, non-exclusive, worldwide license to use, distribute, reproduce, modify, adapt, publish, display, create derivative work or share, in print or on any digital media, any of your User Generated Content, including but not limited to ratings and reviews for our Products. You hereby waive any claims to future compensation arising from the Company’s use of your User Generated Content in any form. You understand that all User Generated Content is the sole responsibility of the User from whom such Content originated; that the Company will not be liable for any errors, omissions or inaccuracies in any User Generated Content. Your use of User Generated Content is solely at your own risk. We will be delighted to hear your views on Tirestickers products and any suggestions for improvements. Please note that although we love to hear from our Customers and Users, we want to avoid all misunderstanding about the nature of this communication. You understand and accept that by sending us your feedback, ideas and suggestions you are granting us full and exclusive rights, to use, disclose and otherwise exploit your ideas and suggestions, either by inclusion in our current product line or creation of a new product, in whole or part, without any restriction or compensation to you now or ever in future. Nothing in this Agreement shall act to exclude or limit the liability of the Company for death or personal injury resulting from negligence, fraud or any other liability that cannot be excluded or limited by applicable law. In no event shall the Company, its directors, officers, employees, shareholders and agents be liable for any loss of profits, loss of opportunity, costs incurred in procurement of substitute products or indirect, incidental, special or consequential damages, arising from our related to your use of products or failure to do so. PLEASE NOTE THAT THE COMPANY DOES NOT WARRANT, ENDORSE, GUARANTEE, OR ASSUME RESPONSIBILITY FOR HOW USERS USE OUR PRODUCTS, AND THE COMPANY WILL NOT BE A PARTY TO OR IN ANY WAY BE RESPONSIBLE FOR USER BEHAVIOUR. THE COMPANY MAKES NO REPRESENTATION REGARDING THE SUITABILITY OR AVAILABILITY OF THE PRODUCTS. THE ABOVE LIMITATION OF LIABILITY SHALL APPLY TO THE MAXIMUM EXTENT PERMITTED IN LAW. (iii) the infringement by you, or any third party using your User account on the website, of any intellectual property or other rights of any person or entity. This Agreement shall be governed by the laws of the State of Victoria, Australia. Both the User and the Company agree to submit to the exclusive jurisdiction of state or federal courts located in Melbourne, Victoria. If applicable law finds any provision of this Agreement to be unlawful, void, or for any reason unenforceable, then such provision will only be limited to the minimum extent necessary and such limitation will not impact the validity and enforceability of the remainder of this Agreement. Neither the Company nor the User will be held liable for failure to perform any of its obligations towards the other if such failure is as a result of Acts of God (including fire, flood, earthquake, storm, hurricane or other natural disasters), war, invasion, act of foreign enemies, hostilities (regardless of whether war is declared), civil war, rebellion, revolution, insurrection, military or usurped power or confiscation, terrorist activities, nationalisation, government sanction, blockage, embargo, labor dispute, strike, lockout or any interruption or any failure of electricity or server, system, computer, internet or telephone service.